The crocheted Baby Mat, made with Baby Smiles Cotton, just looks totally adorable. Once you get the hang of it, the individual crocheted squares are made quickly - but beware, there's a danger of addiction here! 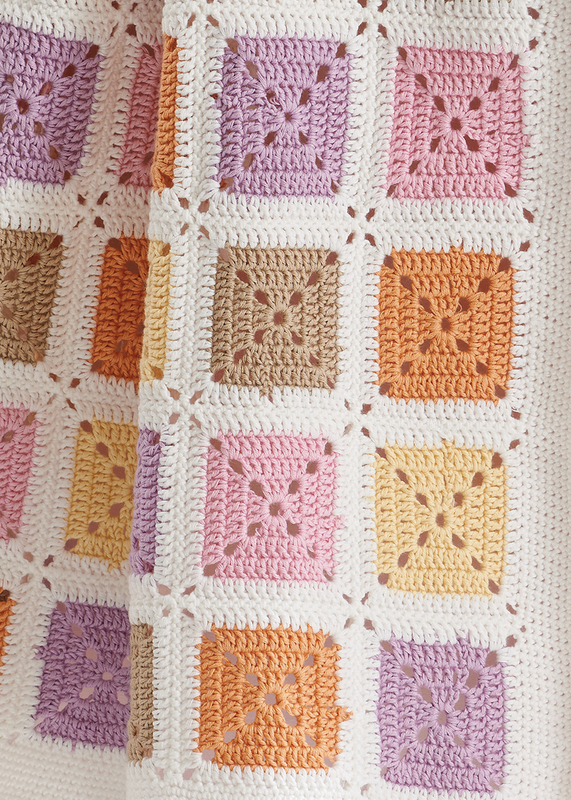 The squares are crocheted in six different colors, which of course you can also put together by yourself from the beautiful shades of Baby Smiles Cotton. Our Baby Smiles yarns convince with the highest quality standards for the little ones. All yarns are skin-friendly, pollution-free, easy-care and very soft!